Moetzet Mazkirut takes place in March in New York City. It is the kick-off seminar for the coming camping season. Its focus is on setting cross-movement educational goals which will be incorporated into the chinuch tochnit (educational program) of each machaneh (camp) and to begin the training process of each mazkirut machaneh (camp leadership), focusing on the preparation for the summer. The seminar is open to the Rosh Machaneh (Camp Director), Merakez/et Chinuch (Educational Director), Merakez/et Techni, and Shaliach (Israeli Emmisary) of each machaneh. A central component of the seminar is to give skill building workshops that address key issues that may arise in the summer such as dealing with health, safety and disciplinary concerns, how to manage a staff, and how to organize and delegate on a large scale. The seminar also asks movement leadership to examine their strengths and weaknesses and develop strategies for improvement through discussion and collaboration with other movement leaders. Moetzet Madatz takes place in April in New York City. Its goal is to prepare and train the Madatz Madrichim (counselors of the Madatz [Leadership Training] Program) for every machaneh (camp). In this seminar, the Madatz Madrichim go through a process of understanding the incredible tafkid (job) they will be doing, while planning with other machanot to create activities that Madatzim throughout the movement can experience together. brings together all the madrichim who will be running the Madatz Leadership Program. Similar to Moetzet Mazkirut, it is centrally a skills building seminar that focuses on preemptive education and strategy building for issues that may arise in the summer. This seminar focuses on how to educate and support junior counselors as they enter a new stage of leadership and responsibility in the movement. Moetzet Kenim: Rashei Eizorim (Regional Year-Round Organizers) and Shlichim (Israeli Emissaries) come together with the Mazkirut Artzit (Central Office) of HDNA for this seminar. The purpose of the seminar is to set the goals and expectations of the movement’s Kenim (year-round activities) for the coming year. 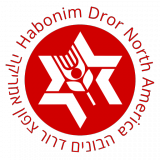 Topics discussed include the state of the movement and Israel education, the Jewish calendar and Judaism, programming, organizing volunteers, and the Ken. The seminar also focuses on sharing best practices for recruitment, leadership management and building up the leadership skills of collaboration, time management and effective educational practices.